The S&P 500 was sitting on a 9.4% gain for the year on October 1. By October 29, the index was down 1.1%—its worst month in seven years. But I found one group of stocks that bucked the trend and actually showed gains for the month. These stocks pay healthy, reliable dividends, and have done better than the S&P 500 every year this decade. These stocks are hidden in the real estate sector and make a certain type of home that is in high demand. Most people know them as trailer parks. But the industry term is manufactured homes. 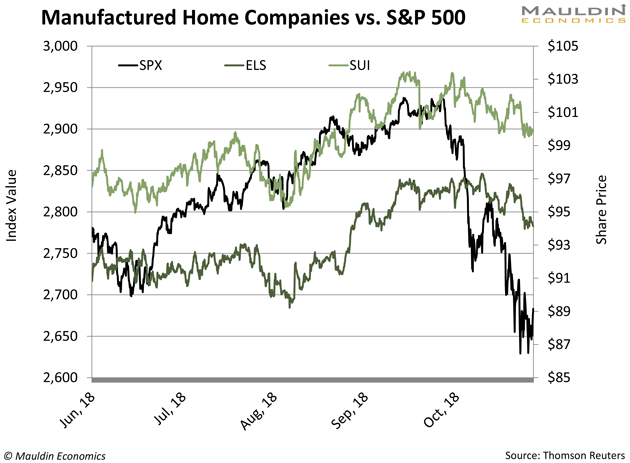 As the S&P 500 cratered last month, stocks of manufactured home companies held their ground. 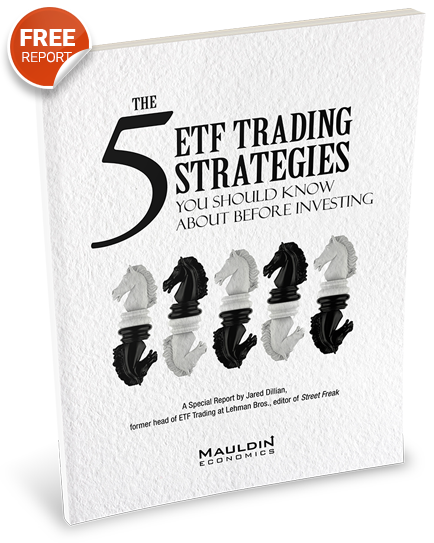 There are two companies that target this market: Sun Communities (SUI) and Equity LifeStyle Properties, Inc. (ELS). From October 1 to October 30, the S&P 500 fell 7.9% while Sun Communities and Equity LifeStyle Properties, Inc. actually gained 0.2% each. 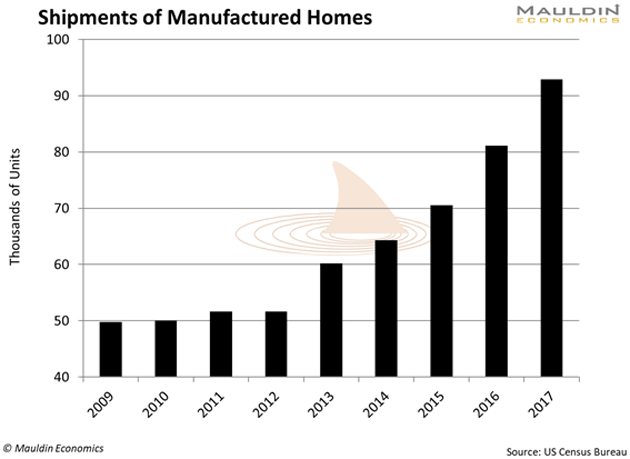 The gain might be small, but the fact that the shares of manufactured home companies didn’t decline tells us that the industry has staying power. And while it’s not the most glamorous industry, there are good reasons why it is doing so well. According to The Wall Street Journal, 40% of Baby Boomers—those age 55-70 today—will see their living standards drop in retirement. That’s 15 million American households that will see a downgrade in their lifestyle. It gets worse. One in three Boomers have zero money saved for retirement. And six in 10 have less than $10,000. One of the main reasons is high debt levels. 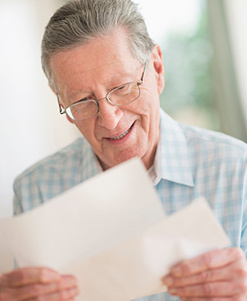 Boomers are entering retirement with more debt than ever before. I’ve seen numbers from the Wharton School that show the average Boomer has $99,000 in debt. Too much debt and too little savings are pushing Boomers to rethink their retirement plans. For many, moving into a manufactured home is the only viable option. Every day, 10,000 Boomers are retiring with nowhere near enough money. But there’s a solution: 60% of US households own a home. And Duke University economics professor Charles M. Becker thinks many will sell their homes and move into—you guessed it—manufactured homes. "You can't buy $30,000 worth of house in a site-built house without being afraid of the neighborhood you live in. Trailer parks can be thought of as gated communities for people who aren't so wealthy,” said Becker. That’s right, gated communities. These aren’t your grandma’s trailer parks. Manufactured homes have been the largest source of affordable housing in the US for 30 years. It’s not a fluke that manufactured home sales started rising in 2013. That’s the first year Boomers started to retire. The trend is undeniable. But to confirm my research, I decided to visit a manufactured home community to see for myself. I found a manufactured home community that was getting rave reviews on Yelp. So I drove north of San Francisco to Napa Valley to check it out. And it didn’t disappoint. 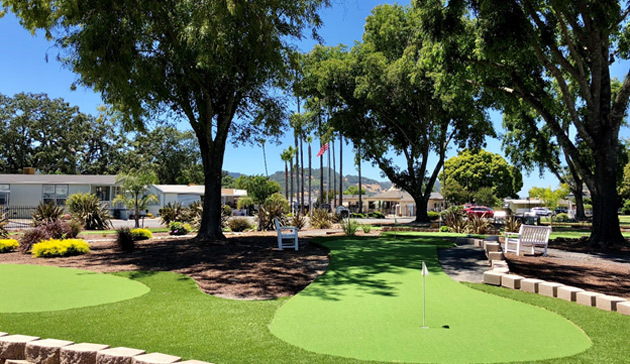 I parked my car and walked over to the green of a perfectly manicured mini golf course. Behind me, kids splashed around in an Olympic-size swimming pool. About 100 yards away, a community library sat in the shade of giant palm trees. Manufactured home communities like this are more akin to a resort than a trailer park. And the price is certainly right. A manufactured home costs nearly $300,000 less than a site-built home. This is especially true for seniors who worry that their nest egg may not last them through retirement. John Mauldin calls this problem longevity risk. And it’s something many seniors are coming to terms with. Most retirees simply cannot afford their dream house on the beach. Many will turn to manufactured home parks as a back-up plan. Everyone should be taking advantage of this trend. It’s a no-brainer. With stock market volatility on the rise, you want to add safe and stable companies to your portfolio. Manufactured home companies have proven that they’re a safe haven during times of market uncertainty. The US bull market is long in the tooth and it’s a good time to add them to your stock portfolio. Nov. 12, 2018, 4:33 a.m. So, why lumber and Weyerhaeuser & Potlatch and so on, are falling so much? Nov. 7, 2018, 11:18 a.m.
Just a quick question: What’s the name of the manufactured community you mentioned in Napa? I have a relative who might like to visit that place! Thanks!